Your browser may be configured in a manner that does not work with the Ebates program. If so, you may have trouble logging in or reaching our merchant sites. 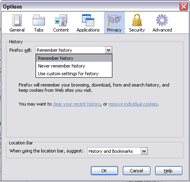 Below are some steps that you can take to adjust the settings of supported browsers to avoid these problems. 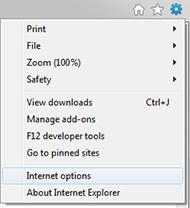 On the Tools dropdown menu, select Internet Options. In the Internet Options dialog box, click the "Security Tab". Move the Security slider to "Medium-high" and click OK.
On the Tools dropdown menu, select Options. Click the "Privacy" tab on the tool bar, select "Use custom settings for history" click "Exceptions", enter www.ebates.ca and click on "Allow". Close the window and then click OK.
On the Safari menu, click Preferences. Under "Accept Cookies" select "Always". 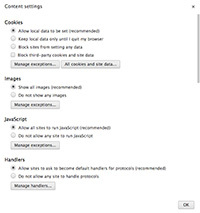 On the Chrome menu, click Preferences. Under "Under the Hood" click "Content settings" click "Exceptions", click "Add", enter www.ebates.ca and click "Ok", and then click "Close".